WE P08 Luger (navy version) has the intermittent full auto fault so mostly for impression or spares. 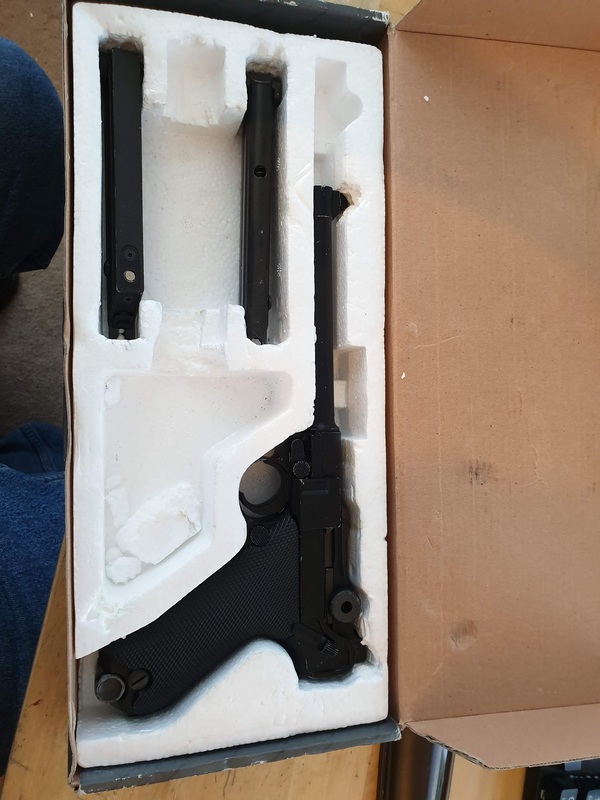 Comes with 3 mags, 2 of which hold gas the 3rd leaks from fill valve. Do you like my little tank?